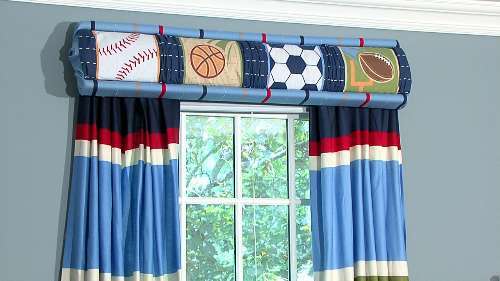 Deco Wrap no sew cornices make decorating your children’s room a snap. Simply purchase extra bed sheets to coordinate with the bedding and use it on your Deco Wrap cornices. You don’t need to buy expensive fabric and the coordination of windows and bedding pulls the room together with little effort. Making your children’s window treatments can be both fun and easy. 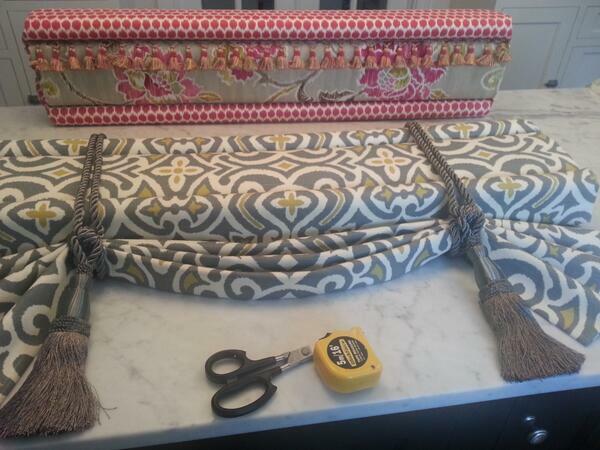 You can wrap the fabric around the cornice and tuck in the material to create a custom look in minutes. You don’t need skills or a sewing machine. There is no commitment either. When you want to change the room, perhaps from super heroes to sports, you can take the fabric off and recover the cornice with new material in a matter of minutes. Generally, we don’t spend as much money decorating our children’s rooms because their interests can change from year to year. 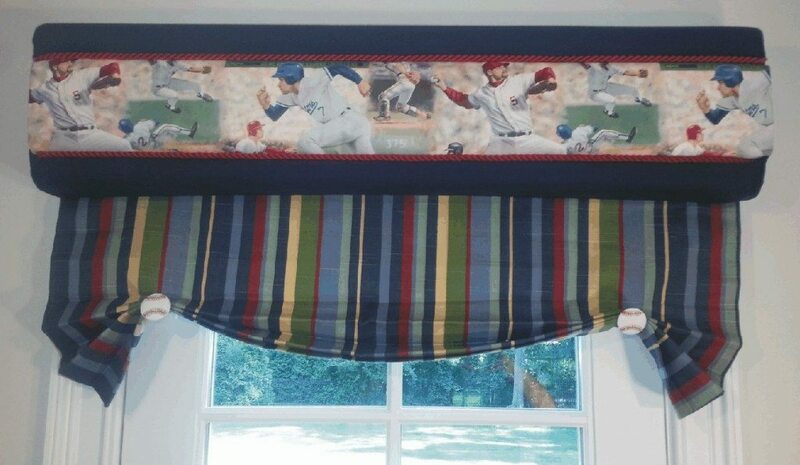 With Deco Wrap no sew cornices, it’s easy to keep up. Just buy new bedding, get extra for the windows, add some fun accessories, and voila! You have created a new, fun themed room that will make any child happy. The front slits of the foam cornice form can also give you an additional place for accent fabric. In this roman style valance above, extra wall paper border that was used on the opposing wall is just tucked in across the front. Then the red cording tucks into the same front slits. The striped fabric was fan-folded, tucked into the back slit and held in place with baseball button pins! You can keep it simple or use your imagination and get really creative. If your teenage daughter wants a designer fabric in her room for a more sophisticated look, the choices of fabrics and styles are endless. The nice part is that you only need about a yard of fabric for basic styles. Share your design ideas with us, we would love to hear from you!